This is the classic and original 100% virgin lamb’s wool tallit katan. This is the chidren size of the Chabad traditional style. 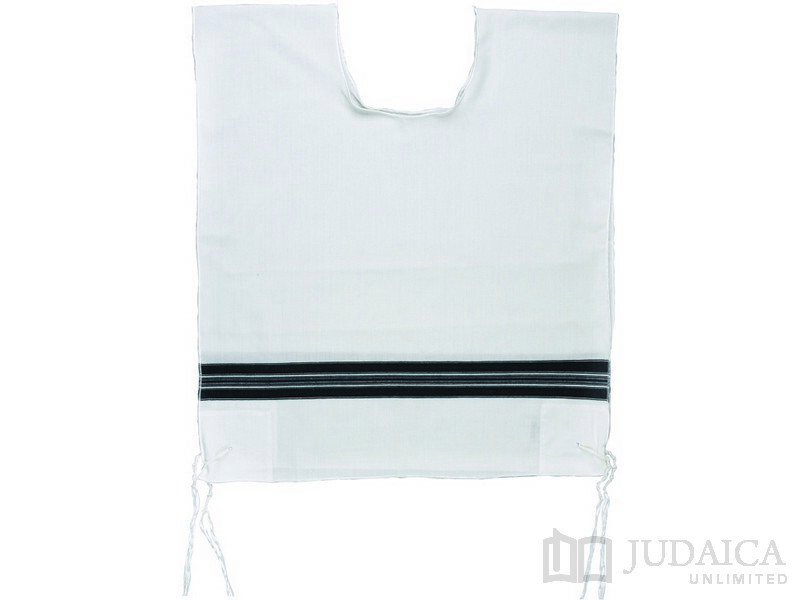 The front and back side is decorated with the traditional Chabad black stripes across the full width. The tallit katan has the Chabad style closed round neck style Includes tzitzit strings tied and knotted, with the option of upgrade to avodas yad tzitzit/hand made strings.